It’s the year 2026, in New York city. 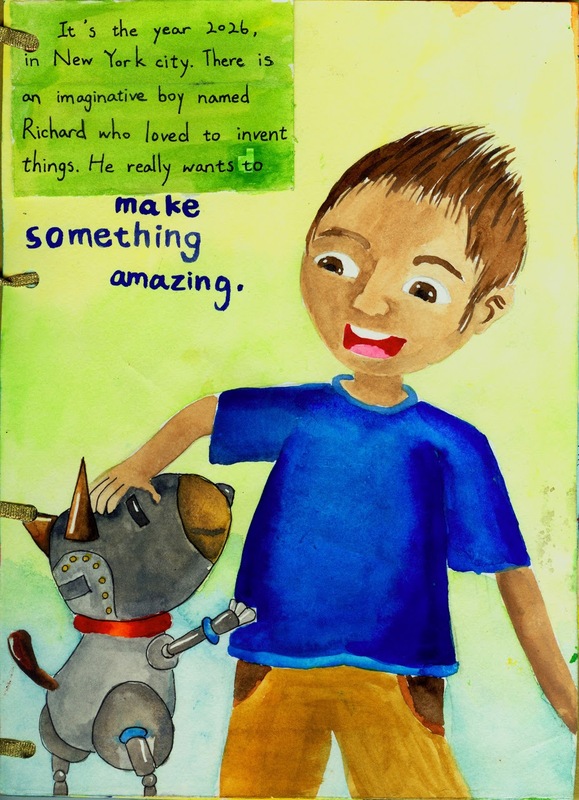 There is an imaginative boy name Richard who loved to invent things. He really wants to make something amazing. Over the next three years he built a time machine named Traveler. “Now this is great.” He thought satisfied with his work. He decided to test Traveler so he pressed a red button on the panel. Suddenly, Traveler rushed into a worm hole and then landed abruptly. The year was 1903. 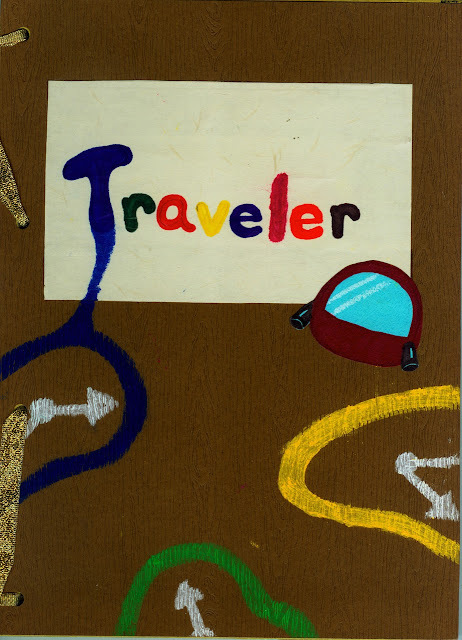 Richard walked out of Traveler and saw two men talking about a machine they had built. Richard walked closer and saw the machine. He looked at the blue print a realized they were talking about airplanes! 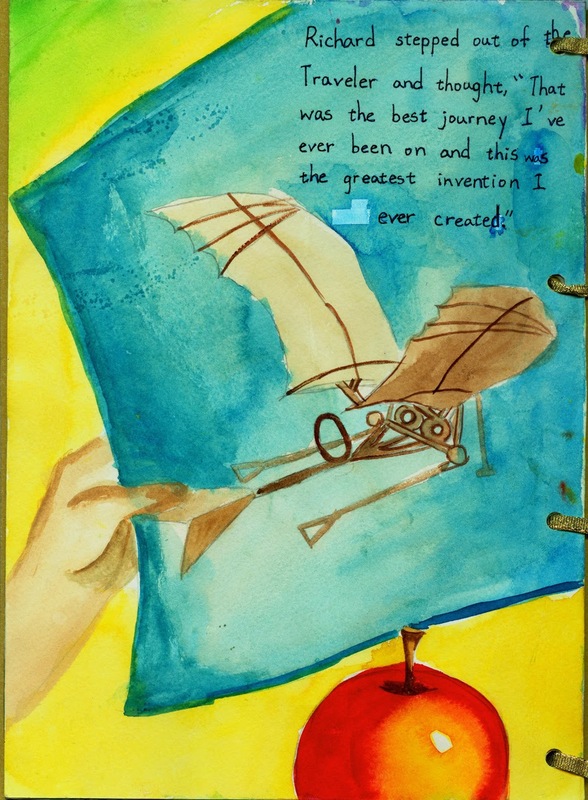 Completely surprised, Richard recognized that the two men were the Wright brothers! The brothers see med very confused. There was something missing from the machine and it still couldn’t fly. Richard discussed with them and helped them create a new draft. The brothers were so happy they didn’t notice Richard quietly sneak away. He went back to Traveler and pressed the button again. Next, Richard landed in the year 1666. This time something was wrong. Traveler was stuck in a tree! Richard looked down and saw a man sitting under the tree. It was Issac Neeton! This is when he discovered gravity. Again thought, Richard knew something was wrong. “He’s sleeping. Why is he sleeping?” Richard thought. Suddenly, he knew what to do. 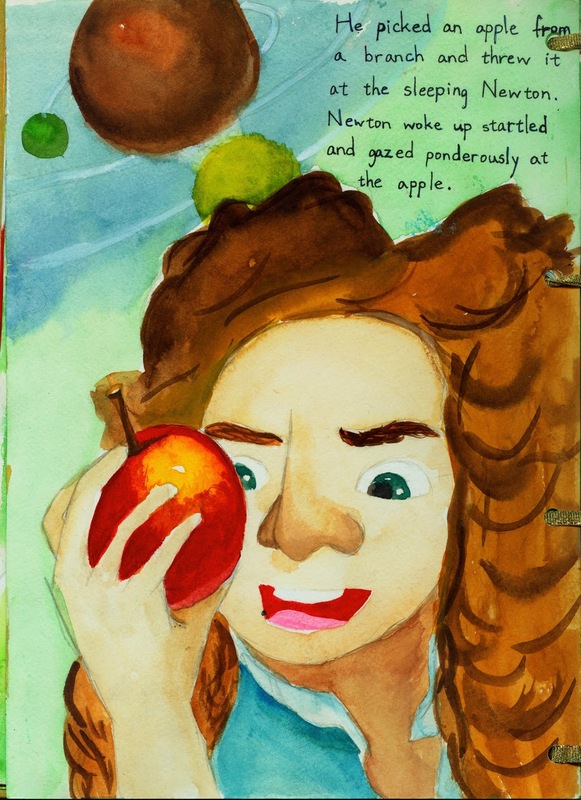 He picked an apple from a branch and threw it at the sleeping Newton. Newton woke up startled and gazed ponderously at the apple. Richard quickly pressed the red button again and landed back in the year 2026.